When it comes to stability, then Infinix is among the few smartphone makers that fight very hard to remain in the competition. This can be seen via the constant release of different versions of their device to suit users from different classes. Another device about to be unleashed by them is the Infinix Hot S X521 android phone which is coming with very good specs and features. The phone has almost the same specs with new Tecno Camon C9 as both devices features 13MP back camera and 8MP front camera with LED flash. 1. Do you know that Infinix Hot S will be the first Infinix smartphone to feature finger print scanner and VR technology ? 2. Do you know the body of the Phone is completely metallic in design? 3. Do you know Infinix Hot S X521 features a 5.2" inches Full HD screen with resolution of 3264 × 2448? 4. Do you know that the device comes with 13MP rear camera and 8MP front facing camera? Do you know that the back camera features a double LED flash and the front camera features a single LED flash for improved/clear selfie in dark areas? 7. 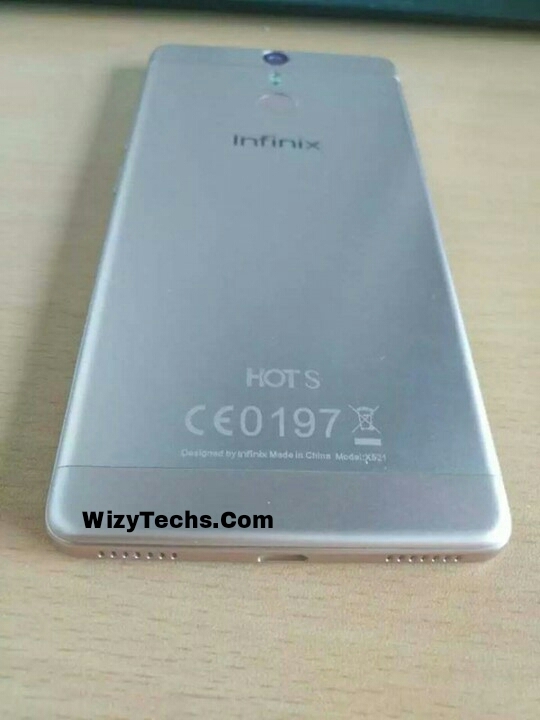 Do you know that Infinix Hot S will be powered by a MediaTek Helio P10 octa-core 64 bit processor clocking at a speed of either 1.5GHz or 1.8GHz, with Mali-T860 GPU. 8. Do you know that Infinix Hot S will feature a 424 PPi (Pixel Per Inch)? 9. Do you know that the device will come with 3000mAh battery capacity. Having known that, let me show you some of the key specs you should be expecting when this device is finally launched. Connectivity features of the phone are 4G, 3G, Wi-Fi 802.11 b/g/n, Bluetooth 4.1, micro USB 2.0 and A-GPS. Where Can I Buy Mobile Phones? Launch date and official price is not yet made public by Infinix but as usual, i will update it as soon as it is released. Keep tuned. What do you think about this Infinix device? As for me, am okay with it except for the battery and screen size. I prefer 5.5" and 4000mAh battery and above. The No No are screen size and battery's capacities reduction. The processing power could be slightly higher..